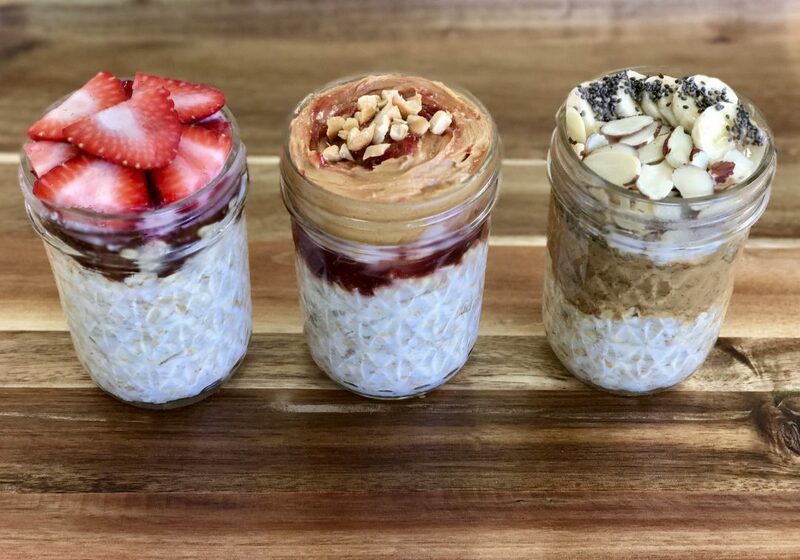 Overnight oats have become extremely popular. I can understand why. 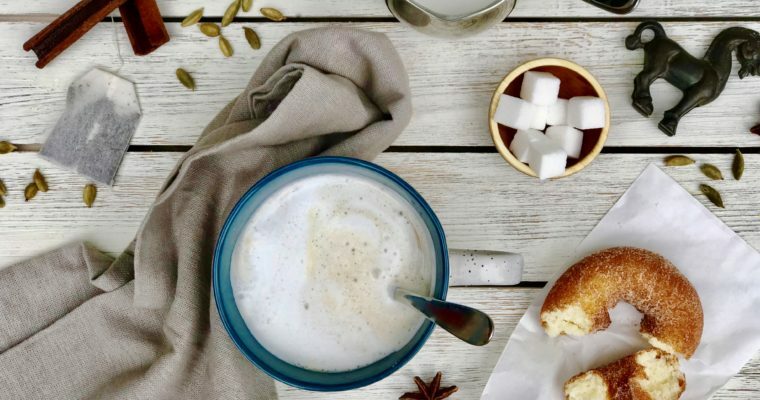 This easy, no-cook breakfast alternative is simple to throw together the night before, and can be adapted to meet anyone’s preferences. 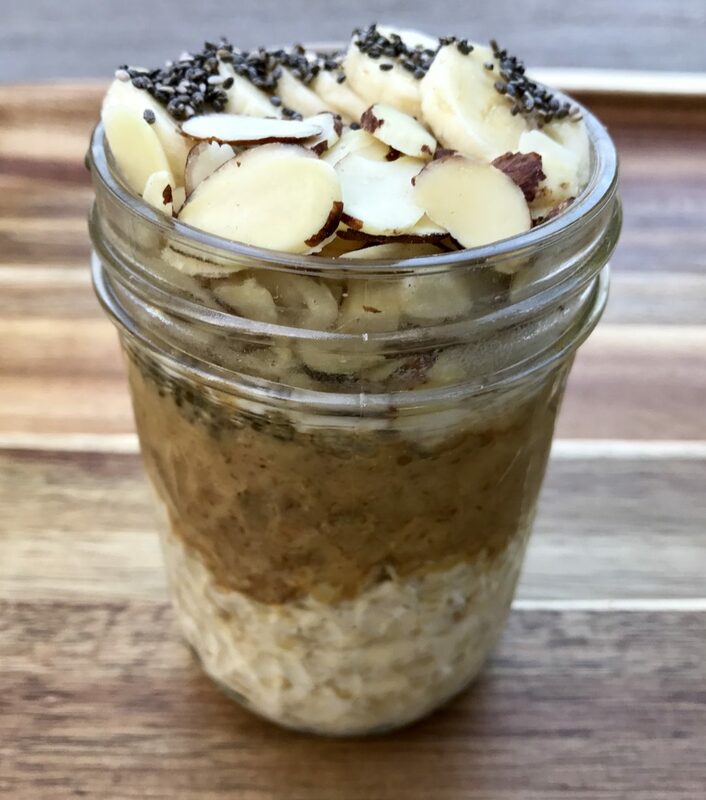 Typically, overnight oats incorporate equal parts raw rolled oats and some time of nut milk, cow milk, or yogurt. 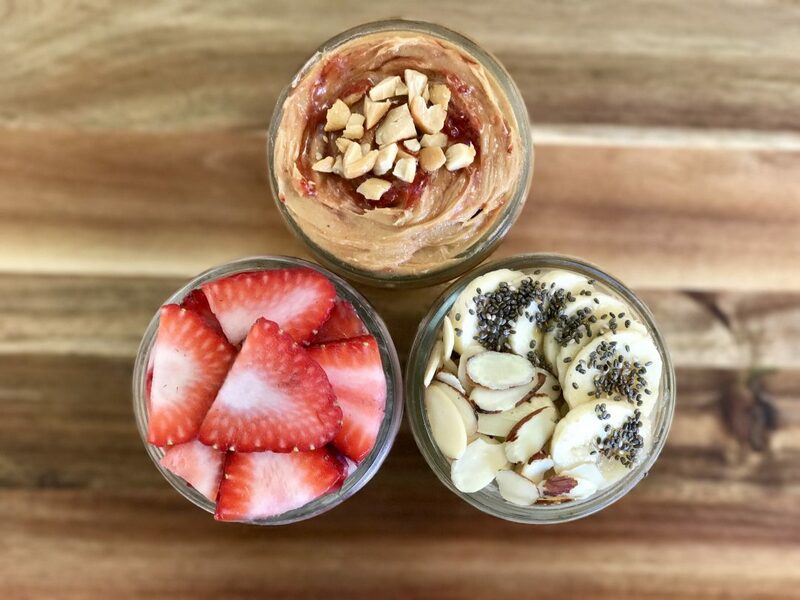 You can add your favorite fresh or dried fruit, chopped nuts, seeds, and/or spreads. 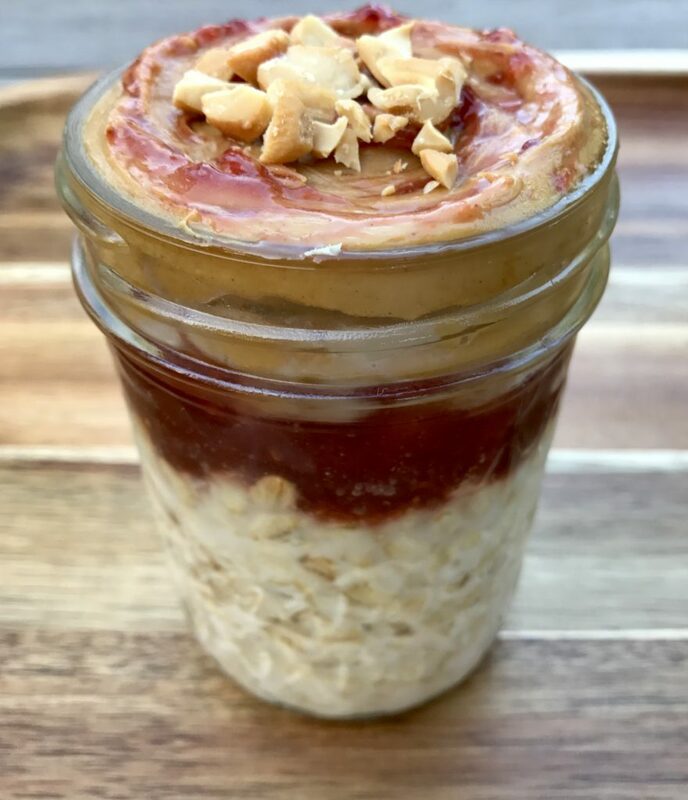 After packing the mixture neatly into a mason jar to soak, you awake in the morning to a delicious (and at times healthy) breakfast option that is already in its own serving bowl. This is a parent’s dream come true, and a far healthier alternative to sugary cereal. And my kids love making them, including because of the control they feel over preparing the next day’s breakfast. 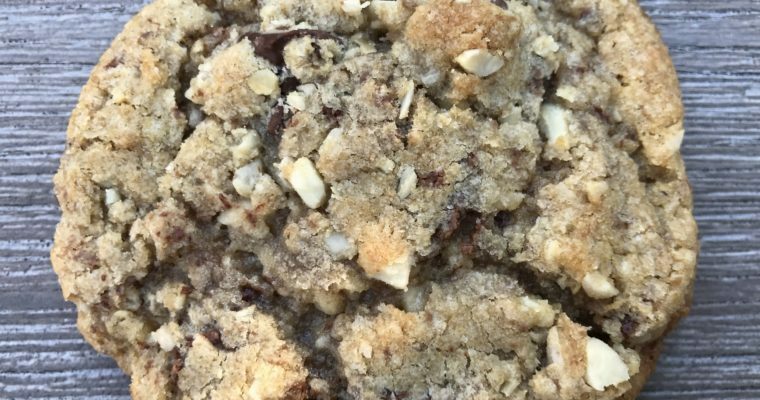 This is one extremely simple recipe made three different ways, with mix-ins. If these don’t appeal to you, I encourage you to be creative and try something different. You truly can’t go wrong. Step 1 Use a small standard size mason or jam jar with lid. 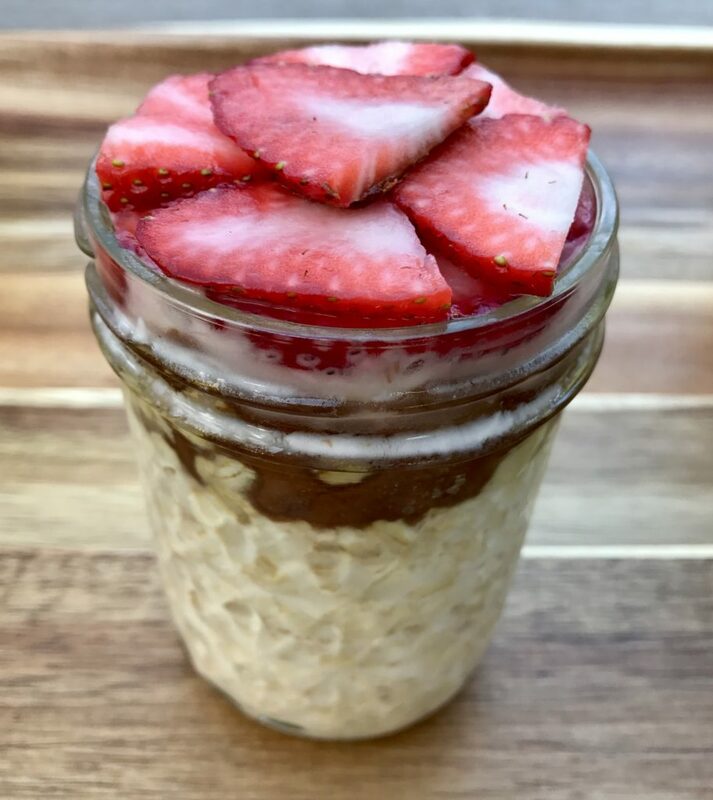 Step 2 Add the oats to the mason jar and pour the almond milk on top to cover. Step 3 Working in layers, add the mix-in ingredients you would like to use. Step 4 Seal the jar with the lid or tightly wrap with plastic wrap. Refrigerate for at least 6 hours, ideally overnight. Step 5 To serve, top off soaked oats with some additional fresh fruit or other topping as desired.